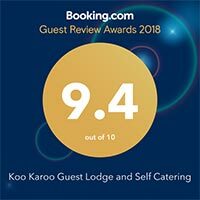 Contact Koo Karoo Guest Lodge in Montagu. Please feel free to contact us if you have any questions or comments at any of the details below. We do offer real-time availability and Online Booking, so if you prefer to do so, click Booking Montagu accommodation online now. Please complete this short form if you have any questions.